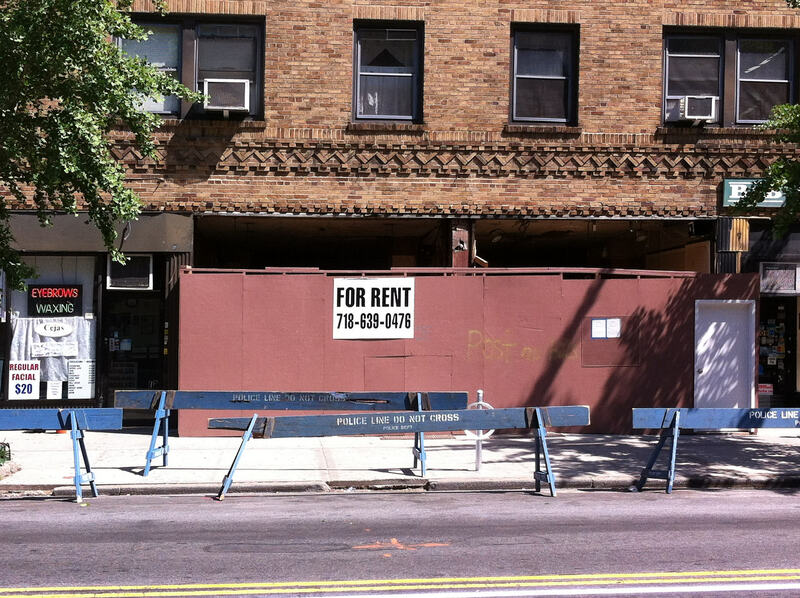 New York City mayor Bill de Blasio announced on Wednesday his support for a tax on vacant storefronts. The measure would be a response to the unusually high storefront vacancy rates across Manhattan. The New York Post reported that in an appearance on WNYC and at a subsequent press conference the mayor called vacant storefronts “a blight on neighborhoods.” The mayor and proponents of such a tax argue that landlords are choosing to let storefronts sit empty for months and sometimes years at a time rather than rent the spaces to tenants at a lower rate. The Post has previously reported that many landlords would rather hold out and wait for a high-end tenant rather than lock in a cheaper tenant on a long-term lease. The result is that thriving parts of the city like Soho and the Upper West Side have storefront vacancy rates of 20 percent or more, well over the standard 5 percent. Proponents of the tax argue that landlords of vacant storefronts are hurting small local businesses that can’t afford the extremely high rates that owners are demanding. After a first term with its fair share of ups and downs, de Blasio was reelected in 2017 with the promise to continue pushing for a progressive vision for the city. Many have criticized the mayor for spending too little time focused on city issues and spending too much time trying to raise a national profile with visits to Iowa and other trips. His turbulent and often unproductive relationship with New York State governor Andrew Cuomo, an ostensible ally in the Democratic party who is also competing for national attention, has not helped his standing in the eyes of New Yorkers eager for substantive improvements on local issues like city housing and transit. De Blasio’s recent State of the City address announced progressive initiatives on many of those issues wrapped up in a campaign to make the city the #FairestBigCity in the country. While it remains to be seen whether or not de Blasio will join the 2020 presidential race, such moves may help burnish his reputation as a progressive government executive.